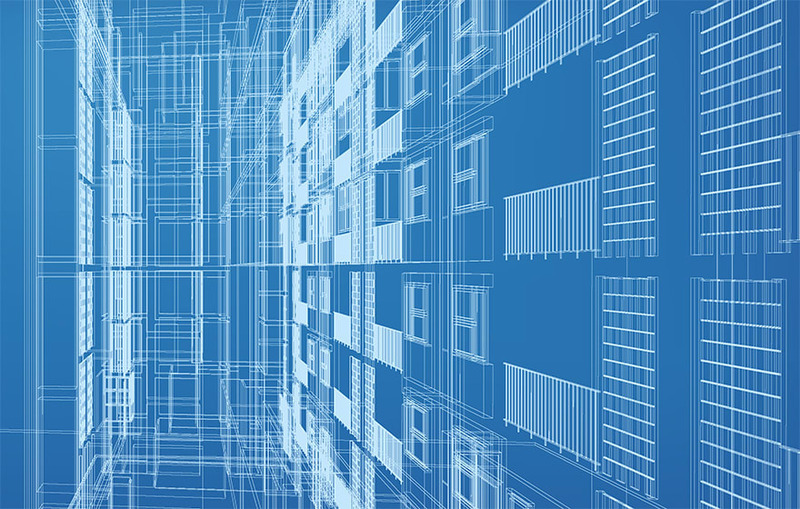 Last week the RICS launched a new guide: Building Information Modelling for Project Managers. Here we pick out some of the key messages. BIM can be used by project managers to improve communication, coordination, and collaboration on projects. In their roles as “integrators”, they can ultimately drive the use of a common data environment and BIM collaboration format to increase operational efficiencies of project teams. Ultimately, project managers can use BIM as a catalyst to improve collaboration, enhance shared ownership of project goals, and drive synergies between the project plan, design strategy and BIM strategy, thereby increasing the level of engagement in project teams. Project managers can help companies adopt BIM in a more holistic fashion and provide strategic advice on the overall transformation of the organisation. For this to happen, project managers must take a more central role in the BIM discourse and amend their roles, responsibilities, and practices in line with industry-wide changes. It is critical to examine the project management body of knowledge and competencies in conjunction with the usage of BIM by the industry. They must also evaluate at a strategic level the long-term impacts of emerging trends and paradigms that are directly and indirectly linked to BIM. To some extent, project managers have been left out of the mainstream action on BIM – partly due to lack of engagement on their part and partly because the front-end use of BIM in design has been in the limelight. This situation needs to change – effective project management is critical to ensuring successful BIM implementation and successful project delivery. Why is the role of the project manager on BIM projects so important? The answer lies in the very definition of BIM. 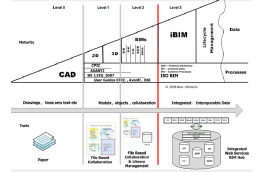 From the definition, one can discern key themes of “collaboration”, “coordination”, “communication”, “exchange” and “collation” that are relevant to answering questions about the impact of effective project management in BIM implementation. As per the RICS APC Pathway Guide on Project Management, “project managers occupy a central role in the development process driving successful completion of projects”. In today’s context, when the use of BIM is likely to become mainstream, this aspect still holds true – rather than diminishing the role of the project manager, BIM actually enhances and sharpens it. 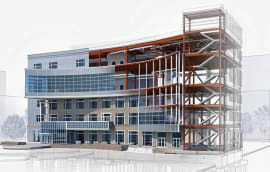 The project manager will not normally be involved in model authoring, but it will be their role to ensure that all the key elements required to achieve a successful BIM project are in place. The delivery process that underpins the development of the project information model (PIM) consisting of the design intent model and the virtual construction model must be managed as part of the project management process for the project. Ultimately the project manager must oversee the delivery process of the asset information model (AIM) at the handover stage of the project. Therefore, it is important for the project manager to understand how their BIM and project management roles spread across the project life cycle. This will ensure that the project manager is asking the right questions and confirming that activities and functions are implemented at the right time by the right set of project team members. 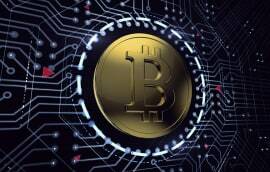 There will be some cross-cutting activities that the project manager will have to ensure irrespective of the lifecycle stage that the project is going through. Project managers will play a central role in the use of BIM on built environment sector projects. They will guide organisations at a strategic level on issues pertaining to organisational transformation mandated by BIM. 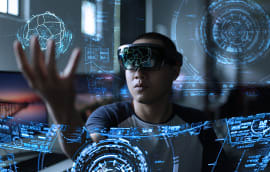 As BIM becomes a vehicle for exploring the adoption of other emerging technologies and paradigms, project managers will have to assist organisations and project teams in this journey. This requires project management as a discipline to consider both the internal and external implications of BIM. 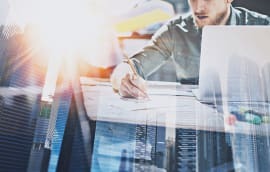 Internally there is a need for project managers to re-evaluate their role, responsibilities, and project management practices both at the project level and at the organizational level. Externally they must take on their role as a “project integrator” facilitating the use of BIM across the entire lifecycle of projects. This is crucial as data and information is becoming abundant in the model-centric delivery processes of the built environment sector. A project manager can harness the power of this data and information in improving the operational efficiency of their project management functions along with those functions related to BIM implementation. Through its prowess in visual communication, information database management and compatibility with analysis and process workflows, BIM is finding its way to being useful in the entire project lifecycle, starting from design through to construction and into operations.